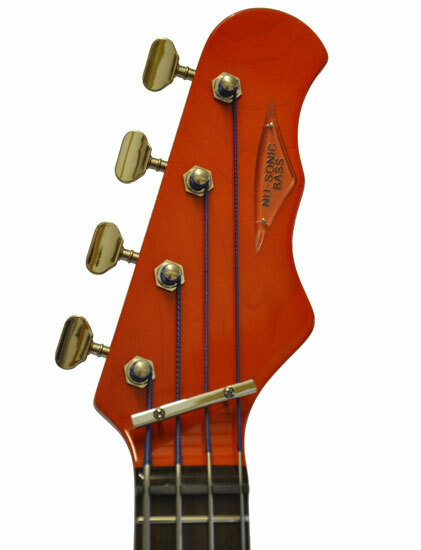 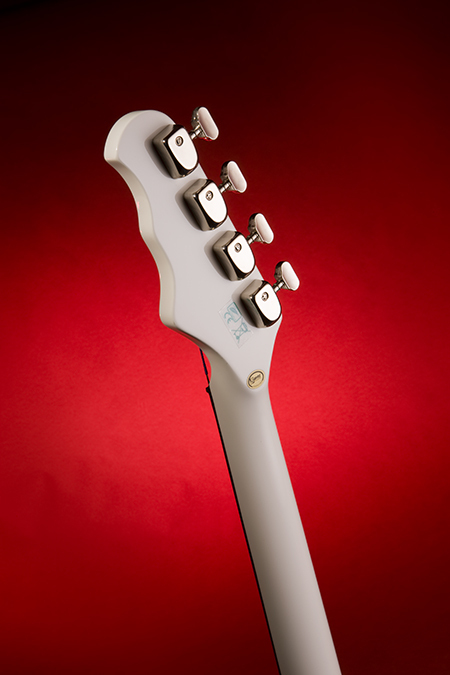 The neck is maple and has an Indian rosewood fingerboard with traditional dot inlays. 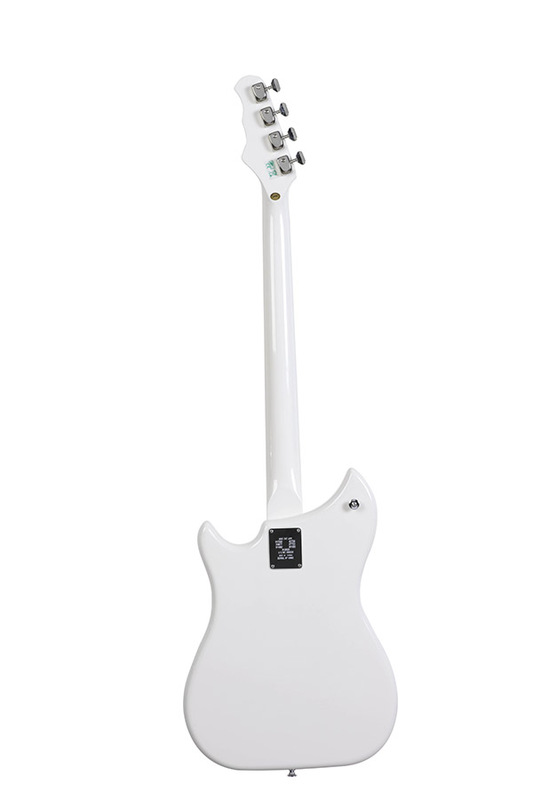 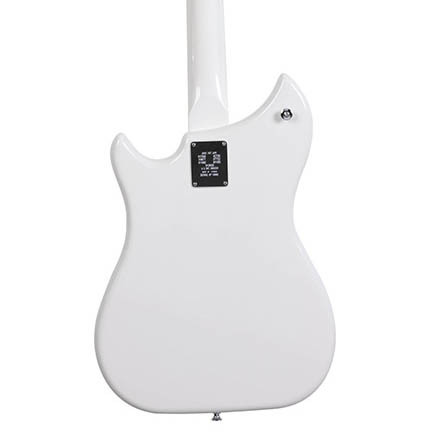 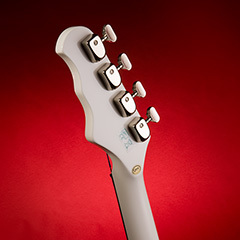 It has a very slim neck, woth lots of room to move around the fingerboard comfortably. 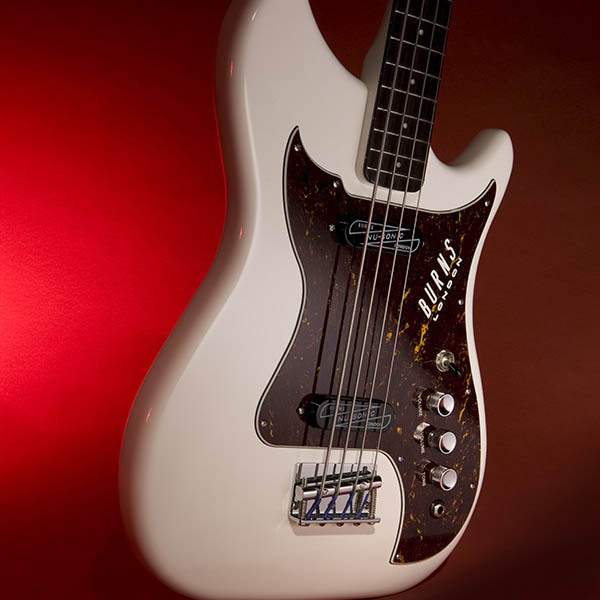 Its lower string tension, coupled with the flatwound strings, makes the Nu-Sonic Bass great fun to play. 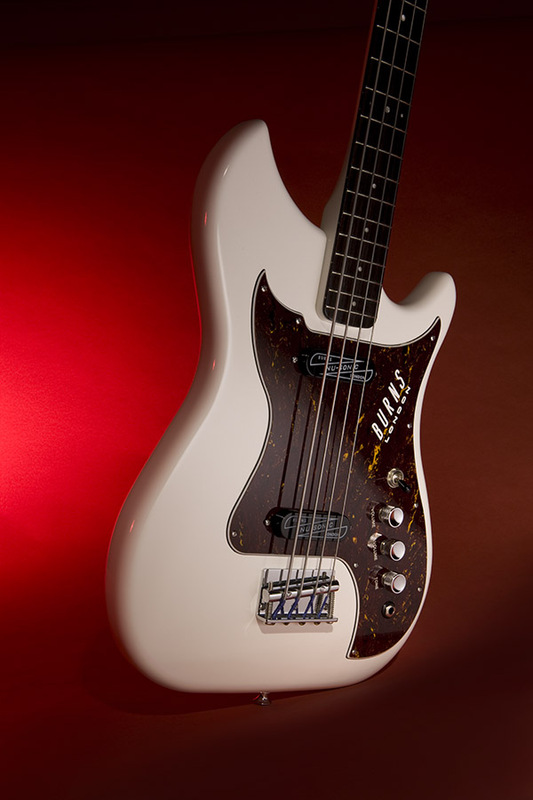 The Nu-Sonic Bass has elements like the short-scale length, small machine heads and flatwound strings lend it real vintage character. 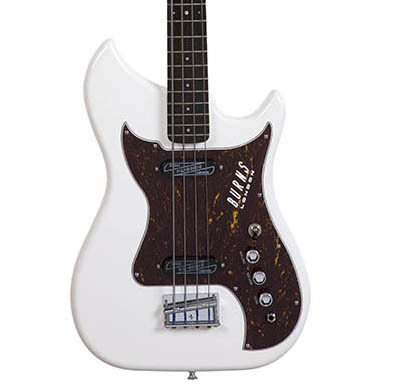 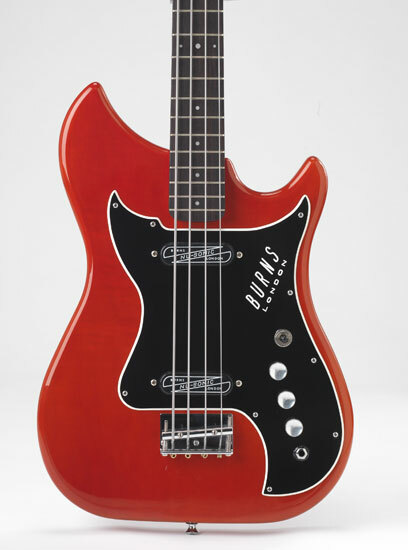 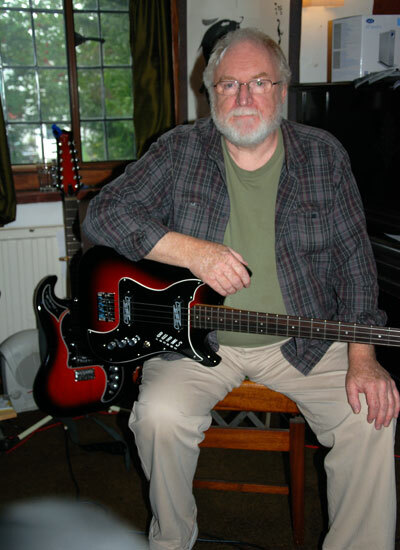 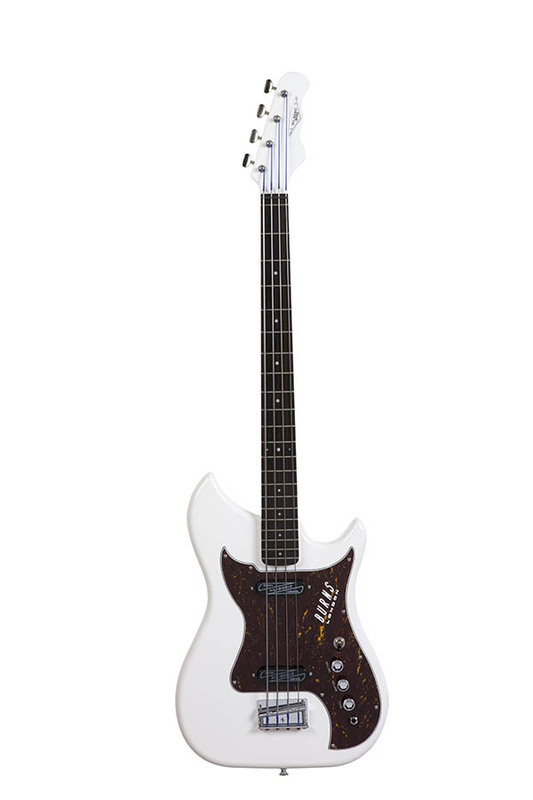 It has a classic sixties retro tone and feel; a small bass with a big sound. 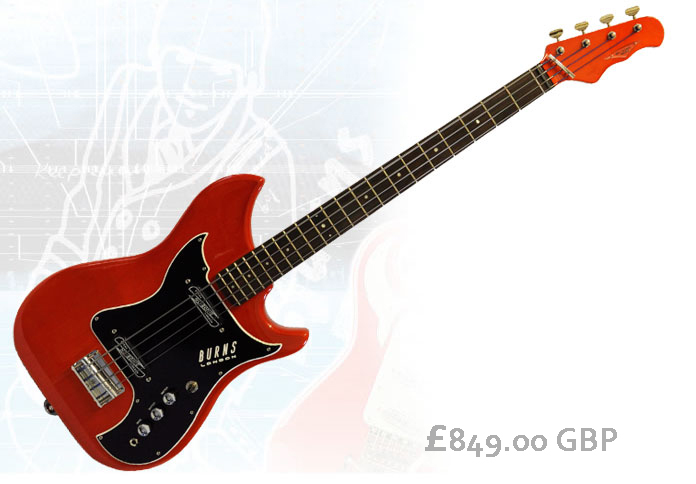 Price includes a moulded hard case, a leather strap and tool kit. 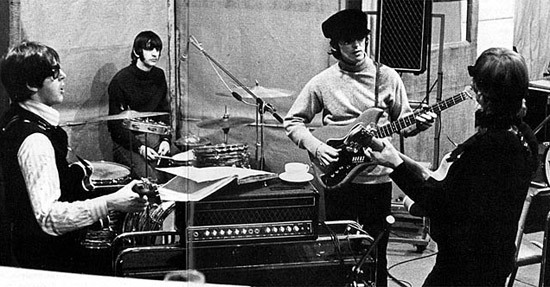 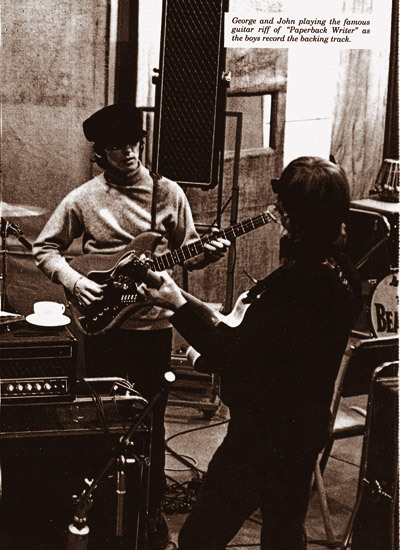 George Harrison recording the track Rain at Abbey Road studios 1966 playing a Burns Nu-Sonic bass which was hired from Burns for the session as George was right handed and couldn't use Pauls left handed basses.